I'm happy beyond the telling that Oskar, Eva and I are now living in one place and, as soon as the Advil kick in, I'm onto unpacking. Happy day! the kitties don't look too fritzed! YAY! moving is rather traumtic for most, but it looks like the worst of it is over. YAY!!! 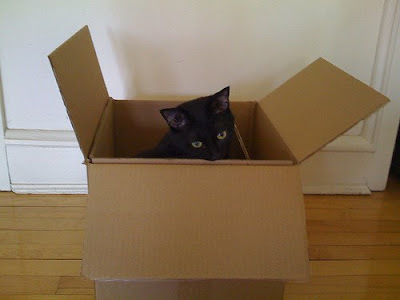 Cats in boxes; always good. My cat Barbarella is the twin of your black kitty. 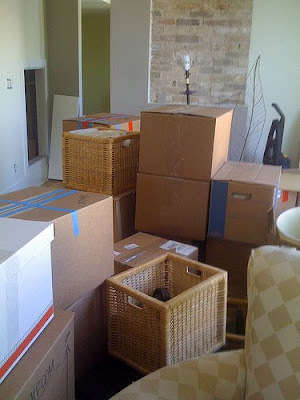 moving >>> moved = phew. 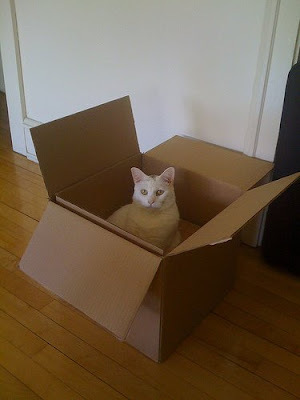 I think cats love moving just so they can hop in the boxes. Congrats! ohhh, they are so sweet!